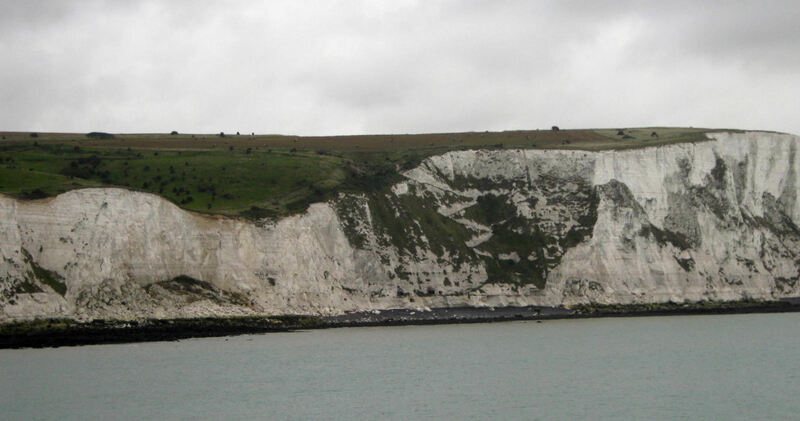 Although it angered many in Dover, due to the loss of the ‘Duty Free’ trade, the creation of a Single European Market, in 1992, is considered as the greatest achievement of the European Community. A local, Francis Arthur Cockfield (pronounced “Co’field”), who attended Dover Boys’ Grammar School, achieved this. Known by his middle name, Arthur, according to his birth certificate, he was born in Horsham, West Sussex on 26 September 1916 – it has generally been said that he was born on the Clarendon Estate, Dover. His father, Lieutenant Charles Francis Cockfield, had been killed the month before, during World War I (1914-1918), at the Battle of the Somme in 1916. Francis Arthur Cockfield – Birth Certificate. Arthur’s mother, Louisa – maiden name James – possibly lived in army accommodation on the Clarendon Estate before or after Arthur’s birth. By 1923, a local trade directory lists the widow and her small son living in Beaconsfield Avenue. At the age of 11, Arthur gained a scholarship to attend the Dover Boys’ County School, (now Grammar School). A star pupil, he went on to win a place at the London School of Economics, where he read law and economics and on graduation entered the Civil Service. That was 1938 and working for the Inland Revenue at Whitehall, he did not expect to rise through the ranks for sometime. Therefore, during in his own time, he read for the bar and was called to the Inner Temple in 1942. A year later he married his first wife, Ruth Helen Simonis, they had two children. In the meantime, at the outbreak of World War II (1939-1945) most his department was evacuated to Wales but a handful of staff stayed in London, of which Arthur was one. This put him in the spotlight, and Arthur’s precise and incisive mind was quickly recognised and promotion was meteoric. He served as Director of Statistics from 1945 to 1952 and as a Commissioner from 1951 to 1952. A year later, he was appointed finance director of Boots the Chemist and went on to become the Company’s managing director and then Chairman from 1961 to 1967. During this time, Arthur served on the Council of the Confederation of British Industry (CBI) and as a stalwart Conservative was appointed a member of the National Economic Development Council (known as Neddy) from 1962 to 1964. Why Arthur suddenly left Boots is unclear, but in 1967, he started work for the Conservative Party as an advisor to politician, Iain Macleod (1913-1970), on taxation and economic affairs. He was also appointed President of the Royal Statistics Society for the year 1968-9. The following year, after he and Ruth divorced, Arthur married choreographer Monica Mudie. That same year the Conservatives were elected to office but shortly after Iain Macleod died. On the appointment of Tony Barber (b 1940) as Chancellor of the Exchequer, Arthur was appointed adviser on taxation policy and was knighted in 1973. 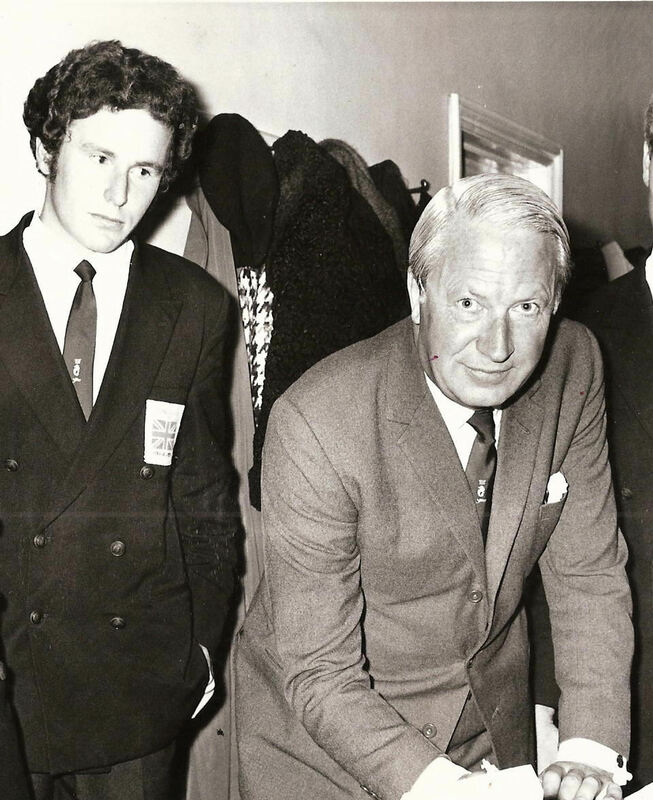 Edward Heath, January 1970 with Alan, the author’s husband. In March that year the Prime Minister, Edward Heath (1916-2005), appointed Arthur Chairman of the new Price Commission and Pay Board. Inflation, at the time, was gaining momentum and the emphasis was on controlling pay. By the autumn, Arthur claimed that he had saved shoppers £320 million! The following February Heath called a General Election and Labour were returned to power. Inflation was running at 16% and Harold Wilson (1916-1995), the new Prime Minister, saw the need for controls so retained the Price Commission but jettisoned the Pay Board. Arthur remained in control. Inflation was to continue to rise peaking at 28% in 1975. Arthur was particularly heavy on companies in both the public and private sector and was earning a reputation for being an authoritarian. However, he met his nemesis with the Post Office and resigned in July 1977. Inflation was falling and by the following April, when he was created a life Peer, it stood at 8%. As Baron Cockfield of Dover, Arthur returned as a key member of the Conservative’s Economic Reconstruction Group. Following the successful election of Margaret Thatcher (1925-2013), in 1979, he was appointed Minister of State at the Treasury. Working closely with the Chancellor of the Exchequer, Geoffrey Howe (b 1926), the tax reforming budgets that followed was Arthur’s influence. In 1982, Arthur was appointed to the Cabinet as President of the Board of Trade until 1983, when it merged with the Department of Industry. In September 1984, Arthur resigned from the Cabinet in order to join the European Commission under pro-European Jacques Delors. His special responsibility was for Internal Market Tax Law and Customs. Mrs Thatcher had, at the Fontainebleau European Council, the previous June, waved her handbag and “got her money back“. The Prime Minister Mrs Thatcher saw Arthur’s appointment, as Vice-President as a coup for she knew Arthur as a dour, uncompromising, elderly Euro-sceptic whom she was sending to Brussels to clip the wings of Jacques Delors (b1925). 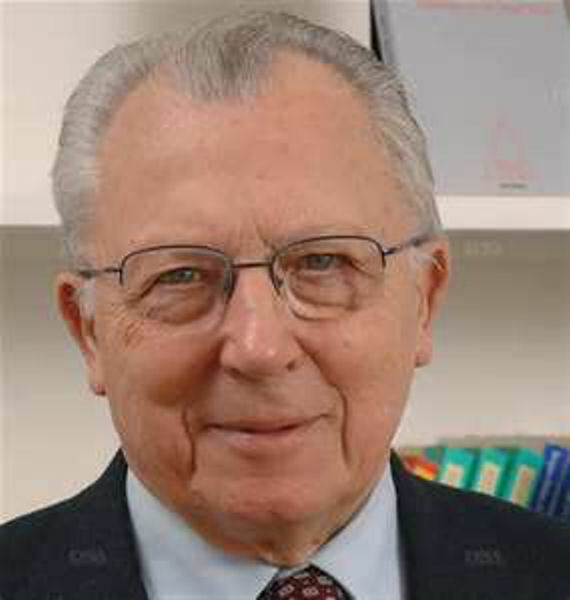 Jacques Delors was the eighth president of the EC and had one aim in mind, to carry the Treaty of Rome, the basis of the European Community, to its logical conclusion – a Single European Market (SEM). Arthur was expected to veto this – a weapon that Mrs Thatcher had used successfully thus far. 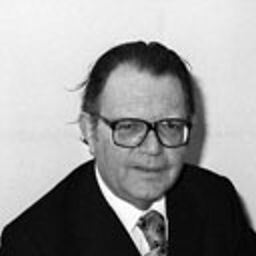 Delors, in order to stop the use of veto introduced Qualified Majority Voting; he also took the gamble of making Arthur his Internal Market Commissioner. Delors guessed that Arthur, although 70 years old, was nobody’s ‘lap-dog’ and that given the chance he would use his remarkable talents. Arthur tackled the task given him with his usual thoroughness and intellectual rigour, recognising that previous attempts had failed because they were bitty and piecemeal. In response, he produced a White Paper listing 283 barriers that needed to be abolished to create a ’frontier-free Europe’. Against every barrier, he listed what needed to be done and a timetable for them to be all abolished – by December 1992. This was in June 1985, only six months after taking office. The proposal was published two weeks before the European Council met, to ensure the passage and ‘give heads of government sufficient time to read the document and appreciate the immense importance of the opportunity being opened up’ but not to ‘give their officials enough time to pick it to pieces.’ The Paper was agreed. For the next 3½ years Arthur, used all his energy monitoring, presenting, arguing and negotiating his programme of SEM in 1992. This was to the annoyance of the British, with Mrs Thatcher accusing him of ‘going native!’ What the other state leaders said about Arthur is not so well recorded, but he did force the French educational establishment to accept foreign teachers working in their schools; the West Germans to accept competition in road haulage and Belgium and Italy to open up their insurance markets. Mrs Thatcher was not amused and retaliated by asking Arthur to come and see her at number 10 to discuss his second term. That morning an announcement was sent to the media that politician Leon Brittan (b1939) was to succeed Arthur in Brussels! Arthur read about his dismissal in the papers, before the discussion took place. Arthur was deeply hurt by this but the accountants Peat, Marwick, McLintock, asked him to join them as a consultant and adviser on European affairs. He also actively used his position in the House of Lords to speak on Europe. In 1990, Arthur was awarded the Grand Cross Of The Order Of the Order of Leopald II of Belgium and in he was the guest speaker at the Dover Boys’ Grammar School. That year saw the death of his wife Monica. In December 1991, the Maarstricht Treaty was signed, taking Jacque Delor’s vision of a European Economic, Monetary and Political Union, to the next stage. Slightly over a year later, the first part of that dream came into force – the Single European Market – thanks to a Dovorian. At the time, there were 5.025 people out of work in the Dover/Deal district and it was expected that a further 1,000 would be made redundant because of SEM. Since then SEM evolved into the European Union and more countries joined much of which had a direct negative impact on Dover. Arthur Cockfield, Baron of Dover, died, aged 90, on 8 January 2007. 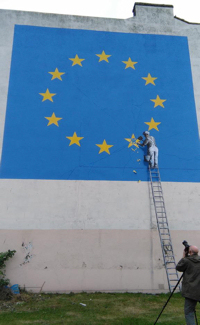 On Thursday 23 June 2016, the people of the United Kingdom went to the polls to vote on whether to remain a member of the European Union in a National Referendum. Dover, Deal and surrounding areas including part of Sandwich’s Member of Parliament is Charlie Elphicke. Throughout the campaign he was a strong supporter of the United Kingdom remaining. Campaigning was fierce and by the day of the election it was generally assumed by the political commentators that the electorate would vote to Stay by a small majority. Nationally, the turn out was 72.2% = 33.6million people. The majority of voters living in and around the large English northern cities such as Newcastle and the north-east, Sheffield and the east, Birmingham and the Midlands voted to Leave. The majority of voters in the South of England outside of London and the City commuter belt voted to Leave as did voters in Wales except for the western coastal areas. 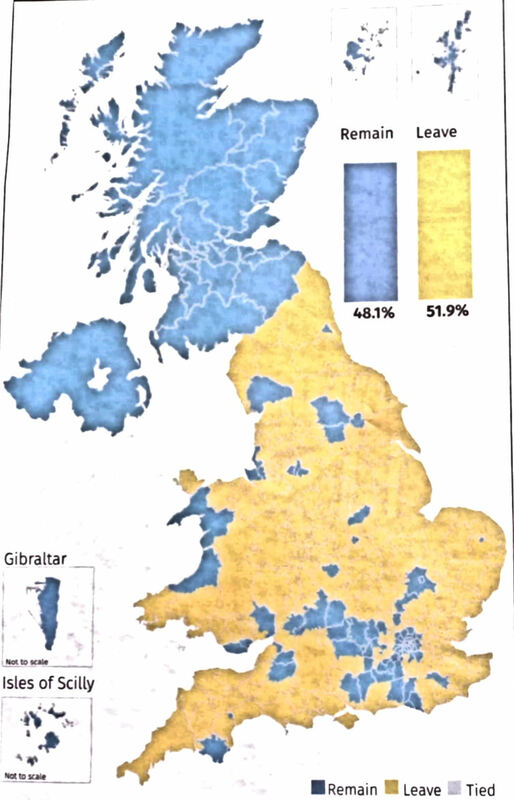 The majority of voters in Scotland, Northern Ireland, Isles of Scilly, Gibraltar and London and the commuter belt voted to Stay and the final result was 51.9% to Leave, 48.1% to Stay. The turn out for the Referendum in Dover, Deal and surrounding areas including part of Sandwich was 76.5% = 65,016 people. The results: 62.2% = 40,410 voted to Leave and 37.8% = 24,606 voted to Stay. In the county of Kent the turnout was 76% = 973,177 people. 59.2% = 576,587 voted to Leave and 40.8% = 396,590 voted to Leave. This entry was posted in Cockfield Arthur - Creator of the European Single Market, People. Bookmark the permalink.